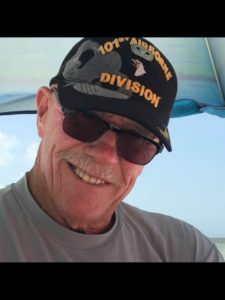 Philadelphia, PA — Michael Timothy Thompson, born December 25, 1948; devoted husband, beloved father, and proud veteran; died on Tuesday September 12, 2017. 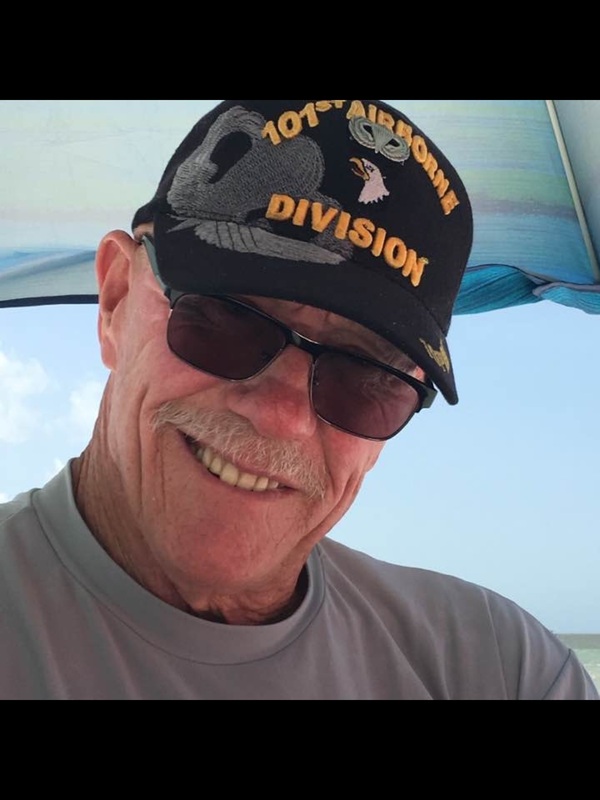 He was 68 years old, and under the care of the dedicated staff of the Veterans Administration Hospital in Philadelphia, when he succumbed to a cardiac arrest. Mr. Thompson – always Mike – spent 48 years with his primary function being caring husband to Diane L. Thompson (née Montgomery). He was loving father to Janice Browne (Andrew) of Maple Glen, PA, and Jodi Kucera (Chris) of Yuma, CO. He was preceded in death by siblings Daniel Joseph Thompson and Cecilia Maureen Cagle, and is survived by sister Mary Pat Shepherd of Berkley Springs, West Virginia; five grandchildren, Michael Alan Howell III, Megan Ranae Howell, Elizabeth Anne Kucera, Mackenzie Leigh Kucera, and Ian Campbell Browne; Nephew Scott Thompson; and nieces, Jennifer Vanderspoel, Penelope Montgomery, and Erin Montgomery Brown. He grew up surfing in Southern California, where he and Diane met, married, and started a family. In the mid 80’s, they moved to Colorado, living for seasons in Parker, Aurora, Grand Junction, and Yuma; and proceeded on to Fort Myers, Florida in 2016. Mike was a kind, loving, hard working man who would, above all else, do anything for his friends and family. His firm handshake and fundamental decency were his calling cards. He worked as a social worker in Los Angeles County, an elevator installer and mechanic as a proud member of the International Union of Elevator Constructors Local 25, and later as a security system installer. Mike retired early from working in 1997 after a diagnosis of Multiple Sclerosis. He lived to fish, hunt, and camp, and to tell stories of his family, of growing up in the sun and sand, and of the ones that got away; be they trout, turkeys, or escaped conversation partners. Mike served three years with the 101st & 82nd Airborne Divisions of the United States Army, with primary deployments in Vietnam. He was granted a series of service awards, including two Purple Hearts and a Bronze Star. He was fiercely patriotic and deeply proud of his service and his country. The discipline and patriotism he learned in the Army never left him, and his attention to detail was legendary. Services will be held on Friday October 6, 2017, at 10:30am at Ft. Logan Cemetery in Denver, Colorado, with full military honors. So sorry for your loss. Mike always greeted us with a smile and a genuine, friendly personality. Thought of you often after moving from our area. He will surely be missed. Love & prayers of God’s peace for you.